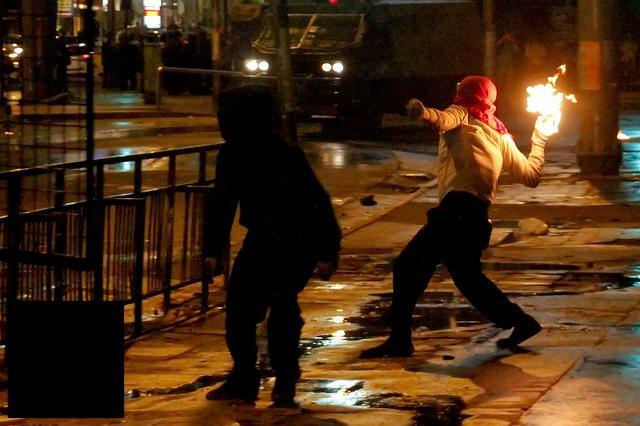 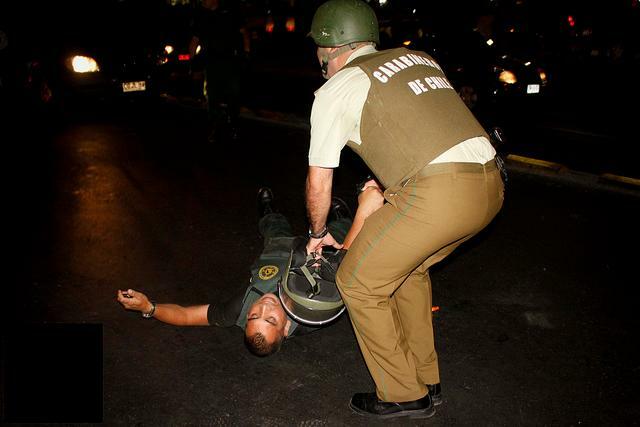 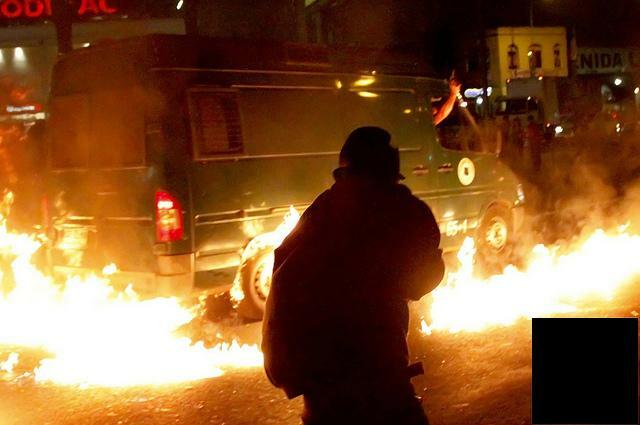 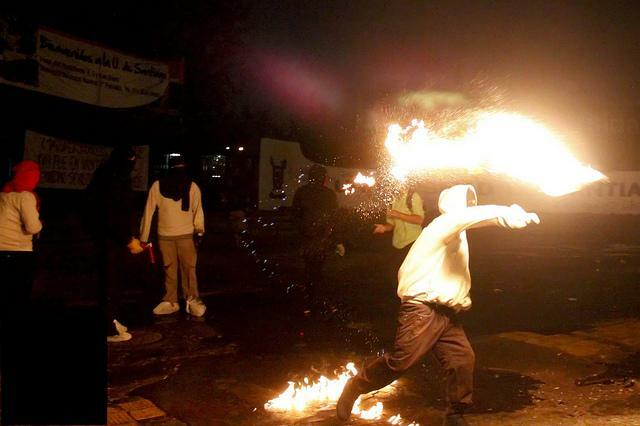 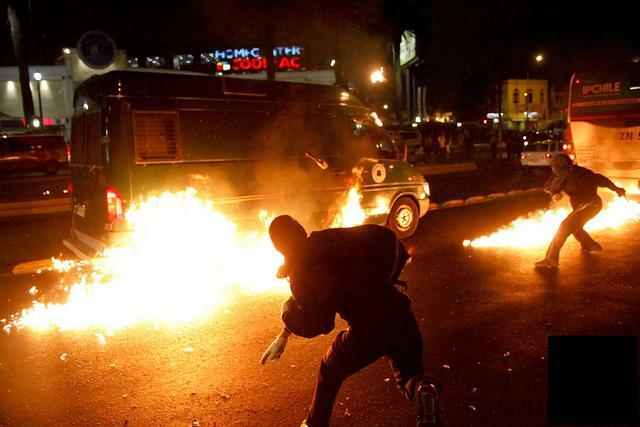 The photos represent a “salida”, that is to say a sortie where, as in Greece, the rioters use the university (or high schools since the movement of 2011 in Chile) to take the street, block, and attack the State vehicles that pass within Molotov range. 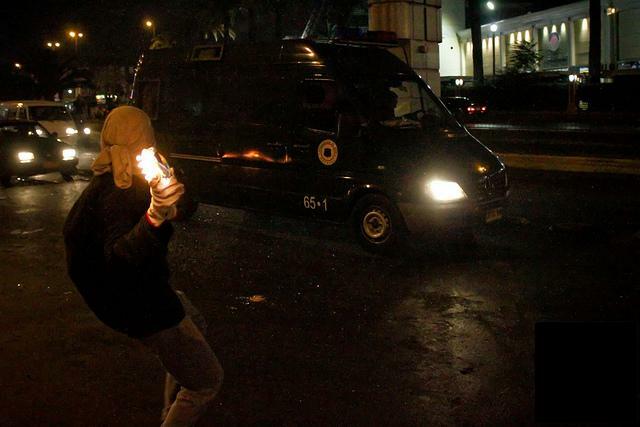 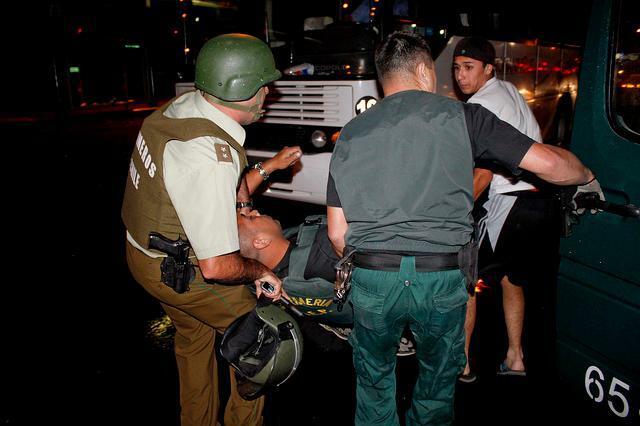 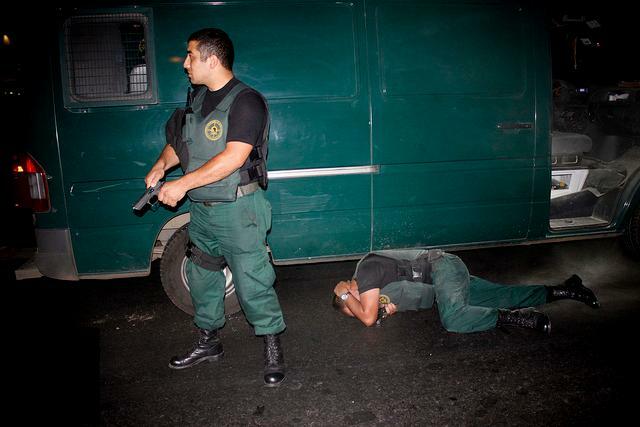 The sortie last January corresponded to the fourth anniversary of the assassination of comrade Matías Catrileo by the cops.In the images, one sees the gathering and the attacks, respectively, against a van transporting money and one of the Prison Administration. 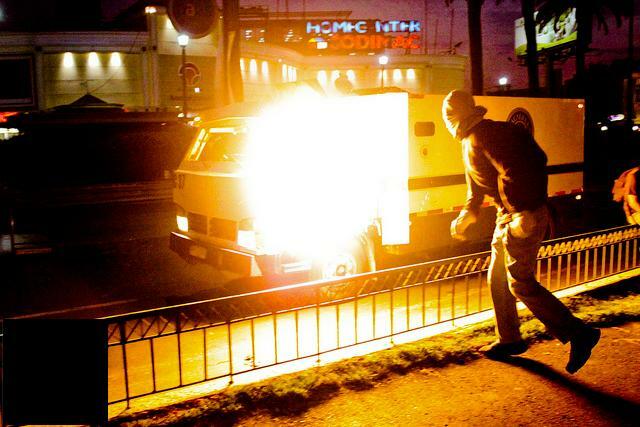 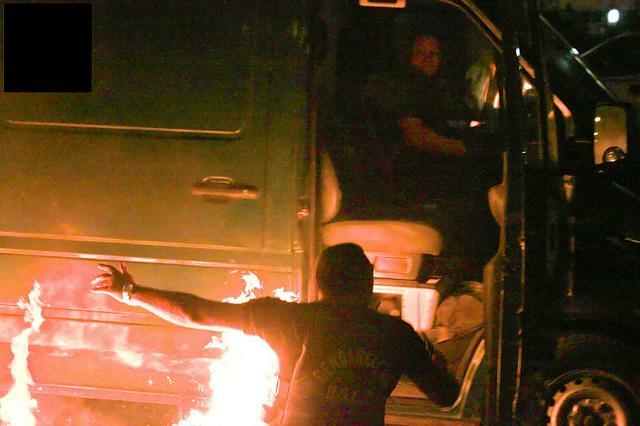 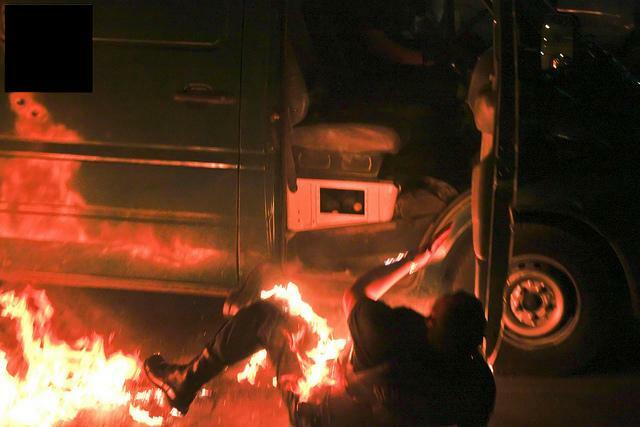 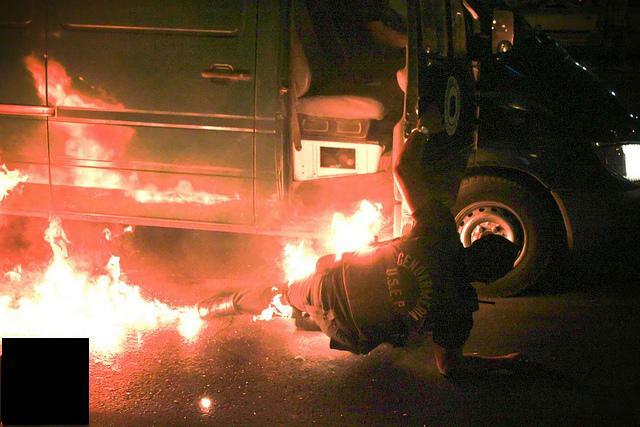 The prison van burnt by molotovs belongs to the special services of the PA, that is to say the USEP (Unidad de Servicios Especiales Prisons). 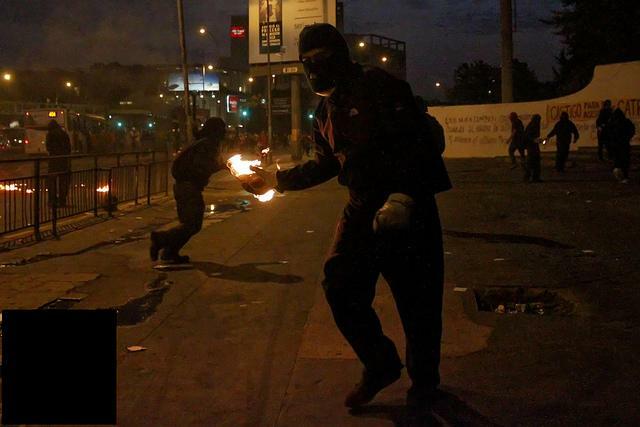 As recalled by the companions of Chile in the text accompanying the pictures, “a thought for the prisoners murdered following their attempted escape during the earthquake of 27 February 2010, the 81 prisoners who died in the San Miguel prison in December 8, 2011, the two injured and murdered for having attempted to escape from the prison of Talagante January 29, 2012, the 361 prisoners who died in the Comayagua jail in Honduras February 14, and that is only a few of the massacres produced by the prison society. 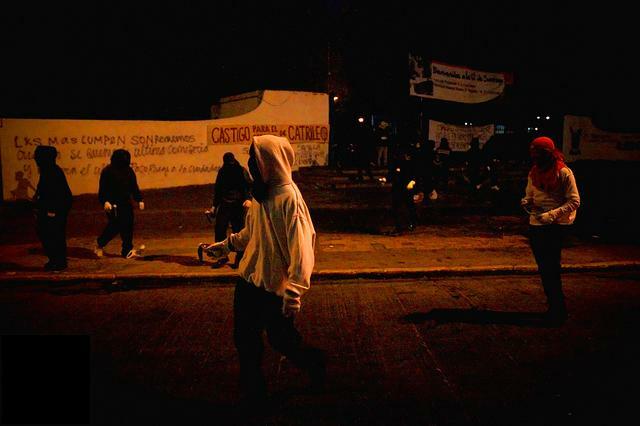 A thought also for the comrades who are in the jails of the enemy, they are not alone “.